I'm in the process of listing these on Etsy every weekday. Here are two from this week. 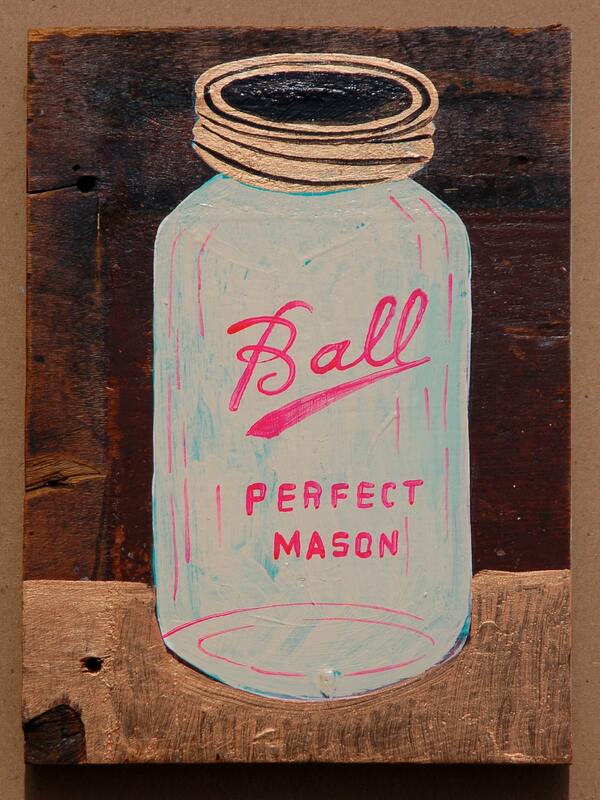 Each of these mason jars are hand-painted with acrylic on salvaged wood and sealed with polyurethane. Their dimensions are 7.25" x 5.5"
The wood was donated to the Knox Heritage Salvage Program instead of being thrown into a landfill. Knox Heritage is a non-profit committed to preserving historic homes and buildings and conserving natural spaces in East Tennessee. 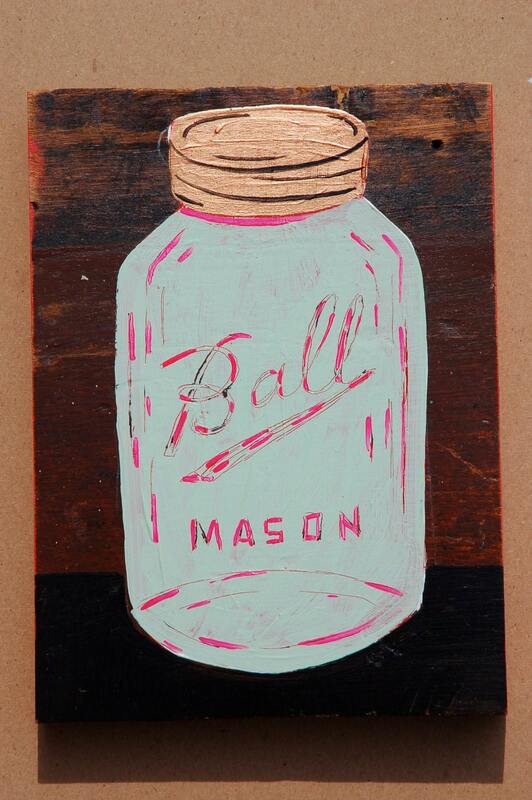 ﻿﻿Each piece in the "Preserves" series is hand-painted with acrylic and then varnished. On the back, they are signed, numbered, and include a hole for easy hanging on a nail.